We've already had two weeks totaling twenty unique Wii titles that are the best the system has to offer. 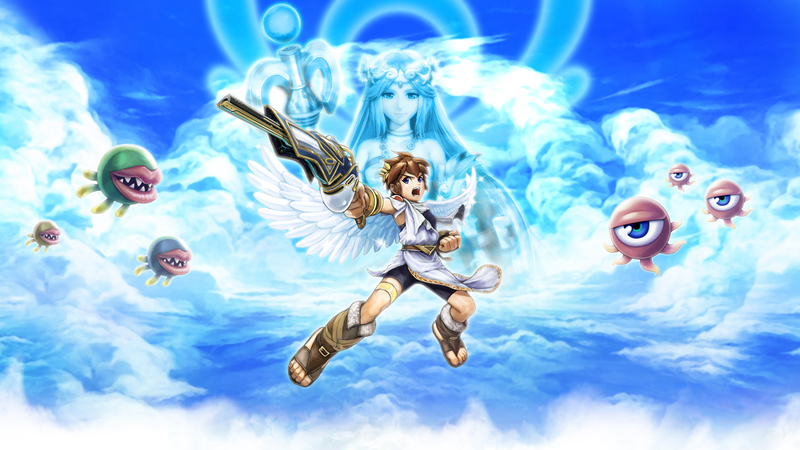 We continue our look back at the Wii's library with ten more games spanning various genres and franchises like Donkey Kong, Kirby, Final Fantasy, and Resident Evil. It is my hope that with this list of fifty that the mindset of the Wii having a weak library is, well, weakened. It's a console with an overwhelming amount of variety and mass diversification within its collection of games. Let us see what the next ten highlights of the Wii's library are. 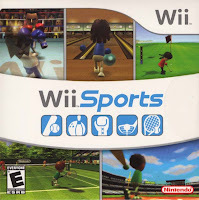 Not just a game but a phenomenon, Wii Sports is one of the primary reasons for the Wii system's sensational success. The game transcended gaming, showing up on TV shows, talk shows, commercials, movies, and award shows. And this is all for good reason to, Wii Sports has the gameplay to back up the hype. 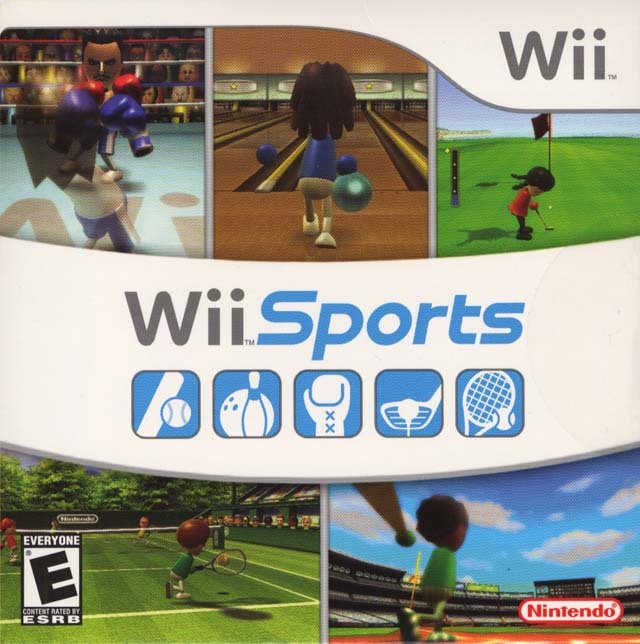 Containing five sports: tennis, baseball, bowling, golf, and boxing, Wii Sports introduced a majority to motion control gaming. The simplicity of the controls allowed even grandparents to get in on the action, using the Wii remote as an extension of their body as a golf club, as a baseball bat, or as a tennis racket. Each sport had three modes: a standard mode, a training mode, and a multiplayer mode. Solo players could compete for medals which were earned through satisfying certain in-game conditions. Training mode would give a player a fitness test based on their stamina, skill, and ability. By far the most popular part of the Wii Sports package, though, was the multiplayer. Parties and family functions focused on playing the game took place. Wii Sports is without a doubt one of the most revolutionary games of the generation, and its title as best-selling game of all time (bundles included) is well earned. It seemed with Twycross-based developer Rare's departure from Nintendo that the Donkey Kong Country series would never be returned to. That was until another Western collaborator with Nintendo, Retro Studios, was given the task to create a brand new entry in the franchise. The end result was Donkey Kong Country Returns for the Wii. The game featured all the throwbacks to the original trilogy that you might expect: mine cart levels, KONG letters (though these did more than just give the player an extra life this time around), secret areas, vine-swinging, and banana-nabbing. However, there were several changes made to the formula. For one, the Kremlings were nowhere to be found. Instead, a group known as the Tiki Tak Tribe were the antagonists after DK's precious banana hoard. 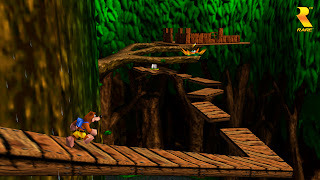 Also new to this installment of the Donkey Kong Country franchise was the ability for two players to cooperatively play through levels simultaneously. 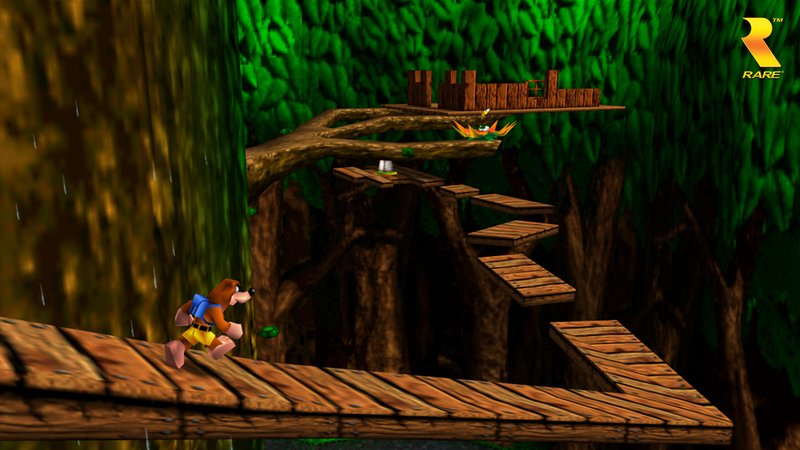 In solo mode, Diddy Kong would ride on DK's back, giving him jet pack support. 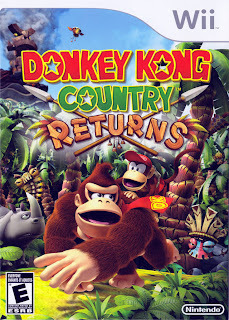 Donkey Kong Country Returns was a great *ahem* return to retro sensibilities. The game was mighty challenging and fans of the great ape can be rest assured that if the DKC line continues with Retro Studios, the series is in quite capable hands. 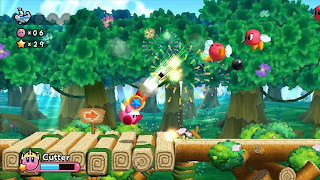 It had been ten full years since a Kirby platformer arrived on a home console (the last was Kirby 64: The Crystal Shards in 2000). Despite it being an atypical Kirby adventure, Kirby's Epic Yarn was a spectacular addition to the franchise nonetheless. I said the game was atypical, and that is most certainly true. Kirby's traditional ability to copy the powers of foes through inhaling and then digesting them was gone. Instead, his primary form of attack was unwinding his arm like a whip to lash at enemies, turn them into balls of yarn, and toss them at other baddies. 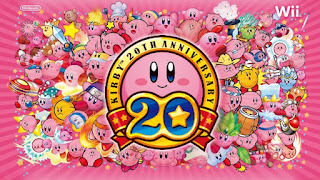 Kirby could transform into a number of forms such a gliding parachute to replace his ability to float, a car which allows Kirby to traverse the ground at a faster rate than normal, a dolphin for underwater exploration, and even a toy train. This Good Feel and HAL Laboratory collaboration does not have health or lives for Kirby. The sole penalty for taking damage or falling down a bottomless pit was the loss of valuable beads that Kirby had collected. These beads unlocked new, more challenging levels as well as were used to purchase furniture for Kirby's pad in Quilty Square, so holding onto them was paramount. 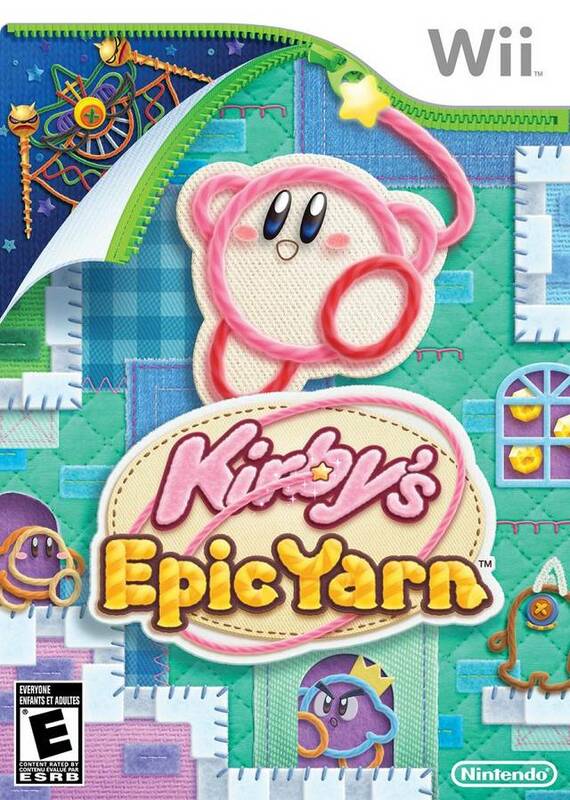 Finally, like Donkey Kong Country Returns, Kirby's Epic Yarn could be played with two players cooperatively. 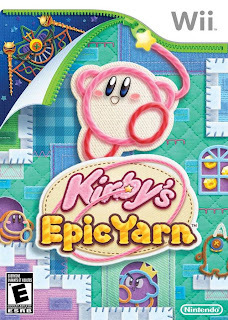 A charming game with one of the most interesting art styles this generation, Kirby's Epic Yarn is a terrific title that oozes with visual and gameplay delights. Part One of The 50 Best Nintendo Wii Games had Excite Truck being represented in the first batch of ten excellent Wii games. 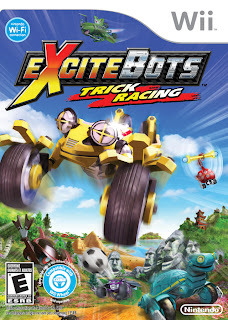 Now, what I consider to be the superior game as well as one of the best arcade racers this generation, Excitebots: Trick Racing gets its chance to shine. 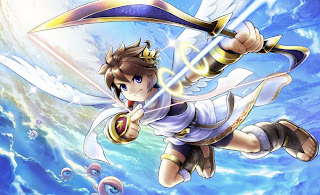 No doubt the game was overlooked by many as it was released with no fanfare whatsoever by Nintendo, was not released in PAL territories, and was only given the opportunity to be owned by Japanese gamers via Club Nintendo. Despite these mitigating factors, Excitebots: Trick Racing is worth tracking down. The game was solely controlled by tilting the Wii remote in a horizontal position. The 20+ courses offeedr plenty of opportunities for going off the beaten path, finding places to score big air and big points in the process. You see, getting first place wasn't the sole goal in Excitebots. No, getting the most points (or as they are referred to withing the game, stars) possible was the objective here. By performing tricks, spins, stunts, beating the rest of the bots across the finish line, and participating in short mini-games mid-race, players earned stars. At the end of the race the stars were tallied and the racer with the most was deemed the winner. So while one was racing they could gain stars by smashing into another racer, kicking a football through the uprights, hitting a soccer ball into the net, slamming into a set of bowling pins for a strike, throwing a pie into a clown's face, and many other tasks. The replay value of the game came from getting S ranks in every track in every difficulty, as well as online races. Excitebots: Trick Racing is not your average racer, and that is most definitely what makes it an outstanding game. 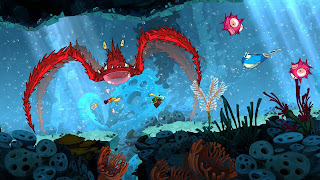 Known as Endless Ocean 2: Adventures of the Deep in PAL territories, Endless Ocean: Blue World put players within the waters of oceans, seas, and rivers in search of aquatic life, treasure, and ancient lore with increased graphical fidelity and much grander in scale areas to explore than in the original hard-to-find 2007 game. Blue World was primarily a scuba diving adventure game with a major focus on plundering the deep, though the ability to swim in the river of a South American jungle was added, in addition to a new polar area. The waters were home to a wide variety of animals like whales, manatees, sea lions, penguins, and dolphins -- the latter of which could be rode to traverse through the waters much more quickly. However, the waters of Endless Ocean: Blue World weren't habituated by all friendly creatures. Sharks, piranha, and crocodiles also called various sectors of water their home, and while things wouldn't get violent, they would take a good portion of your oxygen away, cutting a dive short if a player wasn't careful. 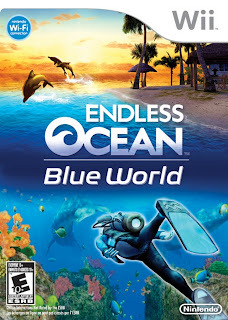 Aside from the single player story, Endless Ocean: Blue World also featured multiplayer functionality for two players to communicate with each other online via Wii Speak, taking pictures, and exploring the vast blue together. 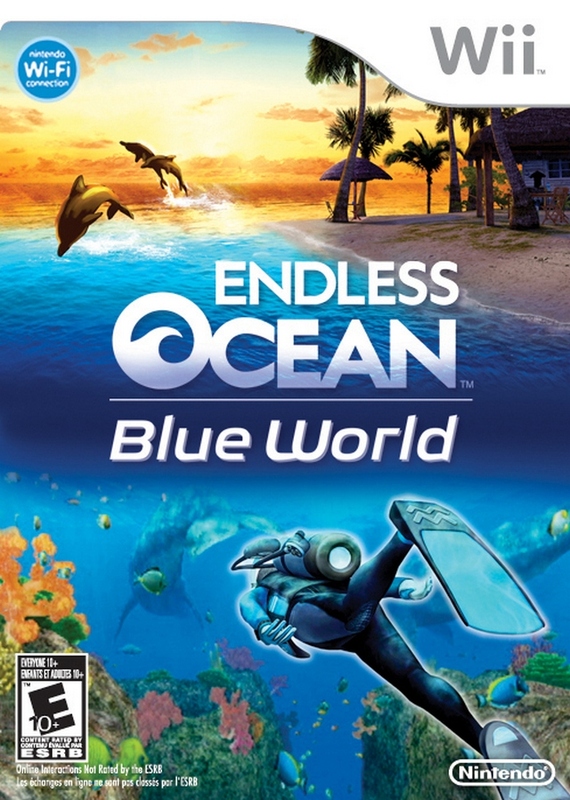 A soothing and relaxing experience, Endless Ocean: Blue World will pour waves of intriguing gameplay onto those that are open enough to try it. No. Really. Take a trip to the planet of Star Ving as this is where The Munchables call their home. The eponymous characters are embattled with the evil space pirates known as the Tabemon. 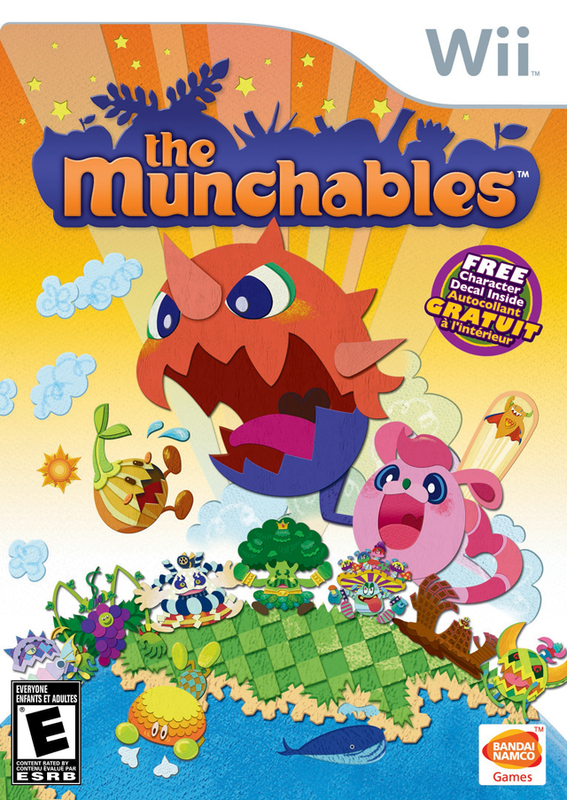 The Munchables was a game that was similar to Katamari Damacy in how levels were completed. The basic premise had either heroes Chomper or Munchy starting at a certain, predetermined size and let loose within a level. 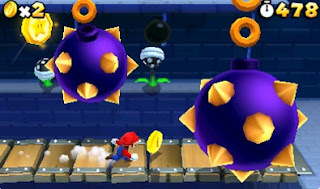 At the start, smaller enemies could be eaten up easily, but larger scale and larger level foes could not. By gulping down smaller or enemies of the size, your Munchable could grow more and more until it could chomp the previously mentioned larger leveled baddies. Every enemy devoured would give you a meal point. At the conclusion of a level, the meal points added up to reward you with a letter grade. The more your Munchable ate in succession without much of a breather, the higher your meal point total would be. 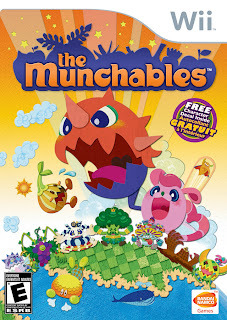 There were eight worlds within The Munchables, and the game takes about five to six hours to complete the first go 'round. However, if you want to see everything there is to the game, that total amount of time could exponentially increase. Namco Bandai quietly slipped out this low-budget Wii exclusive onto stores shelves for a budget price, but if you can get over the wacky and zany look of the game, you are bound to find a title that is appetizing. One part real-time strategy, one part life simulation, and one part role-playing game, Little King's Story was a title that encapsulated charm and ingenuity. Players took control of a young boy named Corobo who became king of a place called Alpoko. The kingdom does not look like much to begin with, but with some ordering around of the faithful denizens, Corobo could start making them create buildings and training places for new citizen types. 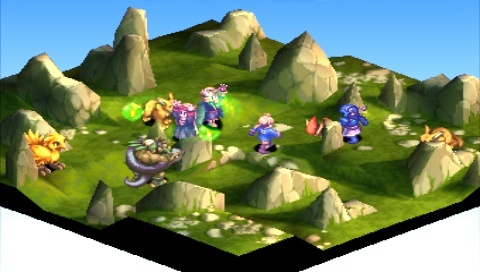 As the little king sauntered around Alpoko, he could enlist the help of various citizens to accompany him in and around the kingdom or out into uncharted lands. The citizens of Alpoko start off weak, but Corobo could send them into various training facilities to turn them into different types of workers such as farmers, hunters, soldiers, and carpenters. Each type of worker had their own strengths and weaknesses and helpful abilities such as being able to build bridges or do well in combat. When the little king and his followers left the safety of Alpoko, they were greeted with monsters and creatures of all shapes and sizes. 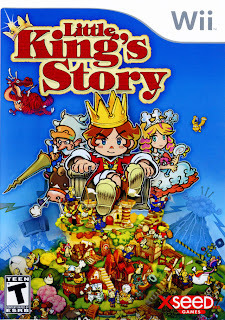 The main story had them trying to conquer the seven surrounding rival kingdoms, but there were also a wide breadth of side quests to partake in within Little King's Story's world. Little King's Story got new life recently as it was made available in remake form on the PlayStation Vita in New Little King's Story. Which ever version you decide upon, you are destined with greatness when you are in the presence of the little king. 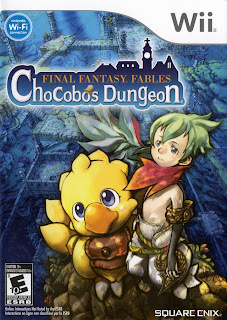 A roguelike game that is perfect for beginners and especially fans of the Final Fantasy franchise, Final Fantasy Fables: Chocobo's Dungeon offered a light-hearted story revolving around a town of Lostime and the city's citizens' forgotten memories. 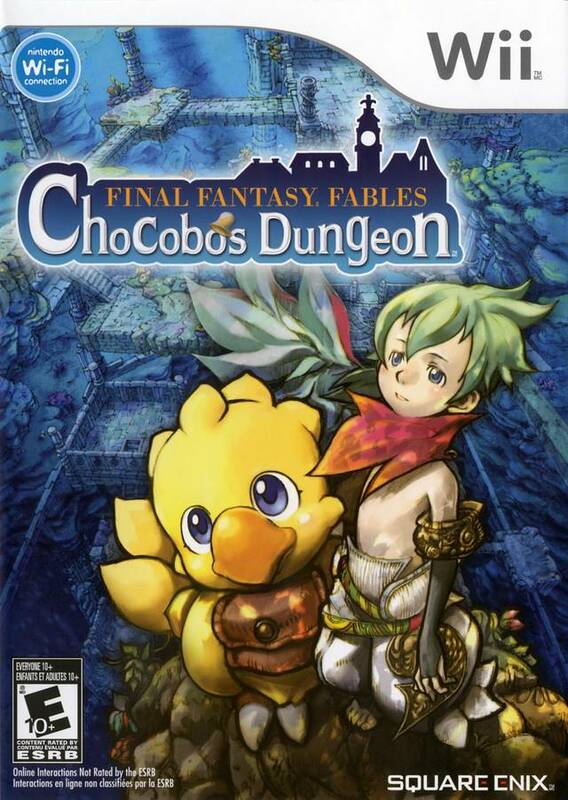 When Chocobo entered the mind of a citizen, he entered a peril-filled, multi-floor dungeon. Each dungeon was made up of a number of floors which ranged from small to large. The later dungeons in the game being the lengthiest, some of which lasted 100 floors. Each dungeon was randomly generated, so no two trips to a single dungeon were ever the same. Monsters filled the halls and rooms of each dungeon, having Chocobo participate in turn-based battles. New to this installment of the Chocobo's Mysterious Dungeon series was the ability for Chocobo to join the working class and get one of ten jobs such as Thief, White Mage, Black Mage, and so forth. One of the reasons I love Final Fantasy Fables: Chocobo's Dungeon, outside of the accessible gameplay, is the wide array of Final Fantasy touches the game has such as memorable monsters, bosses, items, and spells, as well as remixed music (some of the best Final Fantasy remixes of any spin-off). What you are left with is one tremendous Final Fantasy spin-off that is immensely enjoyable (mechanics and presentation), simple enough to learn, hard enough and deep enough to feel rewarding, and anchored by compelling gameplay. A rail shooter might not be your idea of an exciting genre, but the Wii made them popular once again. Resident Evil: The Darkside Chronicles is one of the deepest rail-shooting experiences on any platform. The game featured scenarios from Resident Evil 2, Resident Evil Code: Veronica, and all-new scenario starring Leon S. Kennedy and Jack Krauser, prior to their appearances in Resident Evil 4. 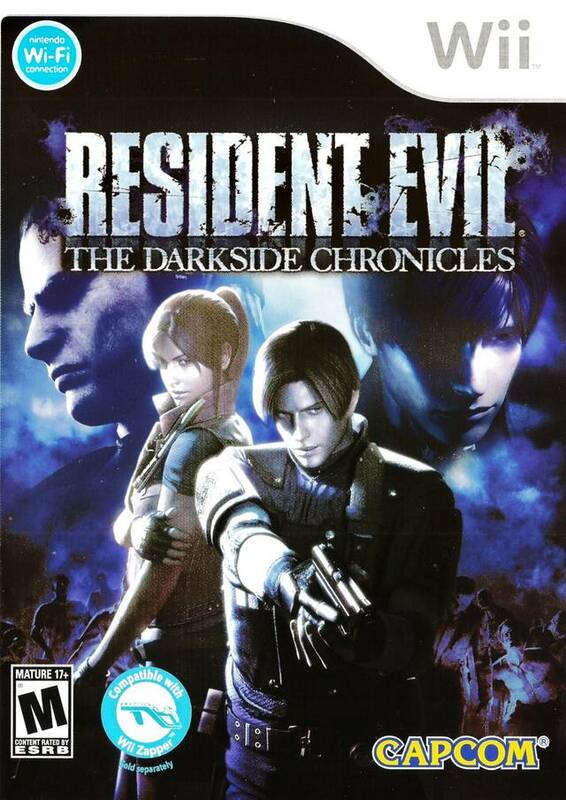 There are a myriad of missions within Darkside Chronicles, having Resident Evil fans relive moments from past games. Pulling off head shots was much easier and much more satisfying. At the end of every mission, players were rewarded a ranking detailing how well they performed. Overall score, time taken, enemies blown away, head shots achieved, and more were taken into account. 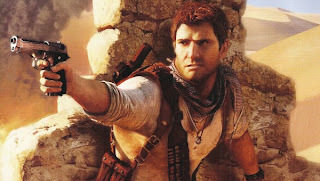 The rating system not only encouraged multiple play-throughs of missions, but it also unlocked cool costumes for player's characters. Along with rankings, gold was earned for completing missions. This could be spent on new upgrades to preexisting weaponry such as better rate of fire and strength. 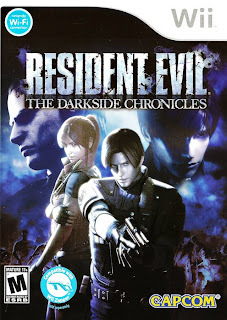 Resident Evil: The Darkside Chronicles and its predecessor, The Umbrella Chronicles, would be ported and placed in glorious high-definition on the PlayStation 3 last year (Move recommended). 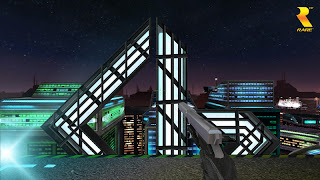 Regardless of the version you choose, this rail shooter is one of the best on the market. 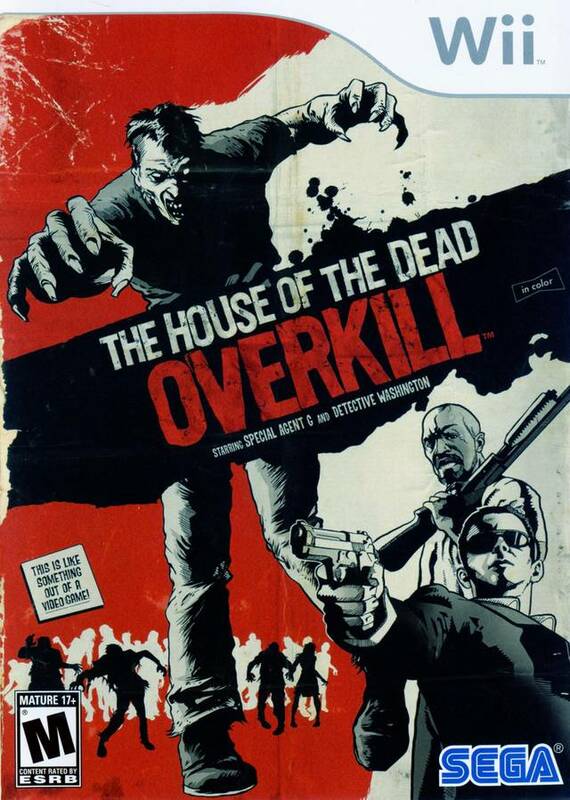 The final game for this batch of ten Wii games is The House of the Dead: Overkill, a game that had the claim to fame of having a Guinness World Record for most expletives in a video game (the record would be beaten a year later by Mafia II). I find Overkill to most definitely be a guilty pleasure with content that is more immature than mature. Regardless, The House of the Dead: Overkill's seven chapters took players through a bayou mansion, a hospital, a carnival, a train, a swampland, a prison, and an underground lab in search of mutants to mutilate. Like Darkside Chronicles, grades were awarded for a player's performance, and money could be spent on new guns, new upgrades, and new content. A combo could be achieved through attaining multiple head shots and killing as many mutants as possible without missing a shot. Additionally, the game could also be played with a second person for double the mutant destroying fun. 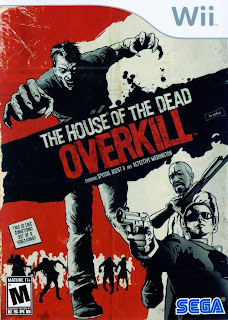 The House of the Dead: Overkill had a distinctive grindhouse feel to it with grainy film reel graphics, the aforementioned excessive expletives, and bizarre story. The end result is a title that is unabashedly unapologetic, full of point and shoot fun, and is entertaining from the title screen to the closing credits. Next week we will see ten more Wii games as Part Four of The 50 Best Nintendo Wii Games is posted. We've had three segments taking a look at games that I constantly come back to despite age. Now we have seven more titles that keep calling my name and I keep answering. That is what Classics I Can Return To is all about -- games that I replay every so often on a consistent basis. After you've taken a look at my picks, why not name some of your games that you can't stop playing regardless of how many new titles start building up on your backlog? This game was named handheld game of the year in my best of 2011 awards. It is none other than Super Mario 3D Land. Starting off, the game is deceptively easy, while also showing some intelligent level design. However, once you finish the first eight worlds, you are greeted with eight more much more fiendishly crafted worlds. Super Mario 3D Land is a near perfect combination of the traditional 2D Super Mario Bros. gameplay and the 3D movement of games like Super Mario 64 and Sunshine. It's so easy to come back to the game, finding missing Star Coins, doing levels with and without the Tanooki Suit, aiming for top times, reaching the top of each flagpole in each level, and mastering Mario and Luigi's move sets. 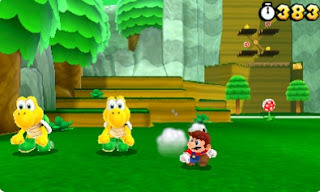 I would love to see a sequel with ideas that were cut out from the game a la Super Mario Galaxy 2. I am currently in the middle of a cooperative play-through with my older brother. While I don't believe this total platforming package is better than New Super Mario Bros. Wii, Rayman Origins is still in the upper echelon of run and jump games. It's always fun to make daredevil dives for Lums and medallions, to dash through levels as fast as possible, to slap your co-op partner across the screen, and to assign tasks to a friend or family member for maximum efficiency. 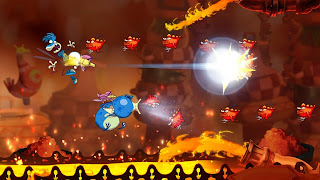 From the standard levels which are already challenging to the precision platforming-based chest-chasing levels, Rayman Origins has a lot of platforming peril that it throws in players' ways. On top of the gameplay glory is an art style that is picture perfect. Sure, it's off-putting to many people in an age where the broodier and bloodier the better, but for those who aren't so shallow, Rayman Origins makes for a thumping good time. When I had my Xbox 360, one of my favorite downloadable titles on it was Banjo-Kazooie, a Nintendo 64 classic. It was great on the Nintendo 64, but it was made even better on Xbox Live Arcade. 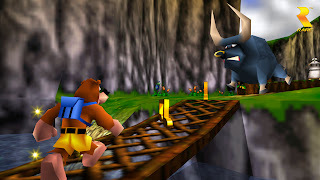 Not only was the game in glorious high-definition, but one of the annoying elements of the N64 version was remedied in the XBLA game. In the N64 game, you had to collect all 100 musical notes in a given level in one go, and if you died, you had to start from the beginning again. In the XBLA game, you can die as many times as you want, and your musical note total in a level will remain the same. No dying in the engine room of Rusty Bucket Bay and having to restart your note collection. I find Banjo-Kazooie to be a game that is mightily more marvelous than the game it was modeled after, Super Mario 64. There is a better arsenal of moves, I enjoy the presentation (music and aesthetics) more, I like the levels, and I just adore Banjo's first adventure more. I have a bit of a conundrum. 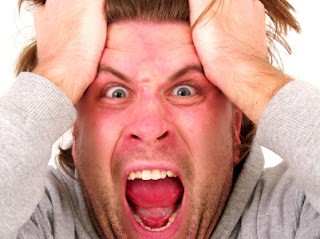 I want to play Perfect Dark on Xbox Live Arcade, but my 360 got the dreaded Red Ring of Death (hey, y'know, things break). I don't want to buy a new one because of one game. 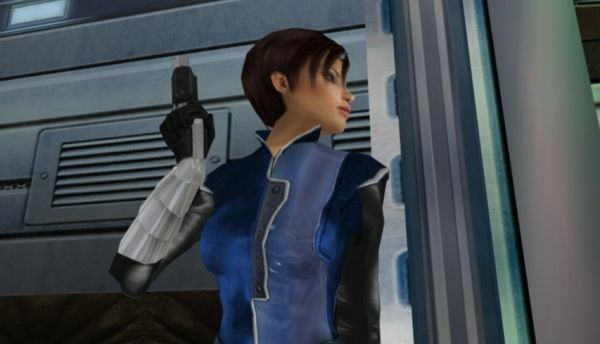 Regardless, I still play the original Perfect Dark on the Nintendo 64, despite knowing that the Xbox Live Arcade remake is Perfect Dark perfected with a steadier framerate and adding online play to an already-superior-to-most-games multiplayer mode. The game took the GoldenEye 007 approach to its missions with multiple objectives that needed to be completed. Failing an objective generally meant failing the mission. But by far the coolest part of Perfect Dark which I already mentioned is the Combat Simulator, offering bots (why most Halo games can't even do that is beyond me), loads of customization, large-scale and greatly designed maps, and much, much more. It is the perfect first-person shooter to me. 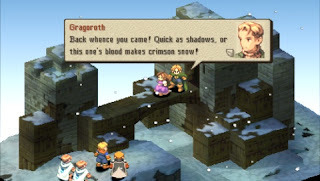 While there is some slowdown in the PSP port of Final Fantasy Tactics, this game is my preferred means to play the classic PlayStation era turn-based RPG because of the added playable characters, portability, and ability to shut the game off and resume it at a later time with a flip of the PSP's On and Off switch. Final Fantasy Tactics is already a brilliant game, and the aforementioned features of The War of the Lions make for an even more brilliant title. I adore nearly everything about the game: the job system, the means to learn abilities, magic, and summons, the story, the plot twists, the music, the fierce battles, and so much more. Perhaps the only thing I don't like about the game is saving in the middle of two battles only to find out that you're severely underleveled for the second battle and are screwed since you already saved and can't go back to the world map. Curse you, Wiegraf! 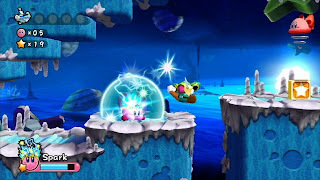 Perhaps I'm returning to this game to celebrate the pink puffball's 20th anniversary, but Kirby's latest adventure, Kirby's Return to Dream Land, took place on the Nintendo Wii, and like Rayman Origins, it offered up to four players being able to join in with some platforming fun. The normal campaign is relatively easy to complete, sure, but once you reach the Extra campaign, things get much more challenging. Kirby and friends have less health to work with, alternate dimension areas scroll much faster, and bosses become difficult. Kirby's Return to Dream Land sports a colorful and whimsical art style, though it does not compare to that seen in Kirby's Epic Yarn. Despite this, Return to Dream Land is the better game, and honestly one of the better games in the entire series. Playing it alone or with a friend is quite the treat, and because of this, it is a reason I keep coming back to it. 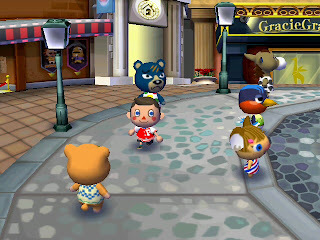 The above pictures came from my old Animal Crossing: City Folk data. Animal Crossing is an odd franchise. Never before did doing ordinary things and chores seem so much fun. 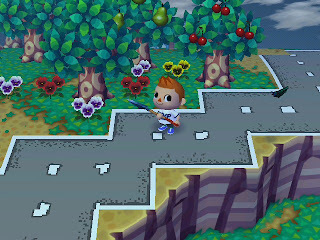 Collecting bugs, catching fish, planting and watering flowers, paying off a debt to a raccoon, upgrading a house, renovating the interior of said house with wallpaper, flooring, and furniture, making friends with the locals, and doing a whole bunch of other tasks might sound menial to the casual observer, but once you get hooked into the world of Animal Crossing, it can be hard to stop. City Folk was slammed by some by being too similar to Wild World. Well, Nintendo took that criticism to heart as their upcoming 3DS game is changing things greatly. 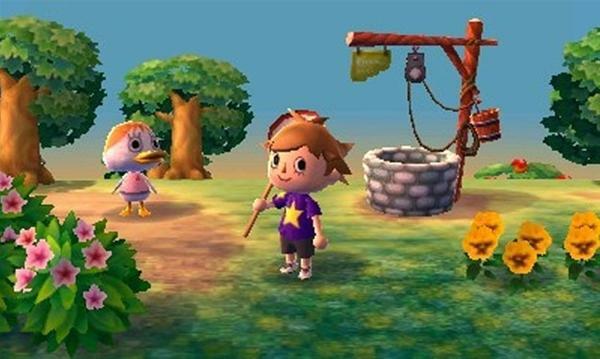 As a big fan of Nintendo's life simulation game, I eagerly anticipate the newest entry in the Animal Crossing series. 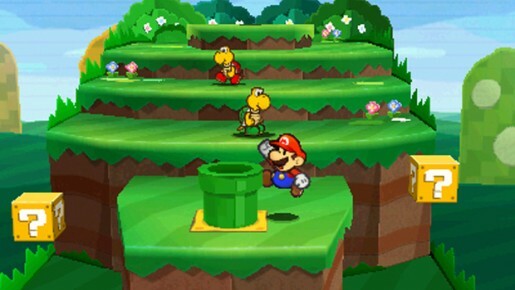 A new trailer was shown during Europe's Nintendo Direct for Paper Mario: Sticker Star. The game is due out on December 7th there while North America gets it nearly a month earlier on November 7th. In this game that mixes up the Paper Mario formula quite a bit, Mario collects stickers to use in battle to gain coins. Just how this new formula will benefit the series is not known, but if anyone can make a competent game, it's Intelligent Systems. Enjoy this two minute long trailer. One of my most anticipated Nintendo 3DS games comes out late this month, Professor Layton and the Miracle Mask. It is the series's debut on the 3DS, and while Japan got the game at launch and has a sixth installment already coming, this fifth entry is sure to delight and charm fans of the franchise. We get to delve into over 150 new puzzles, with new ones being added daily for one straight year. We get to see Professor Layton's past as a student. All gentlemen have to start somewhere, right? 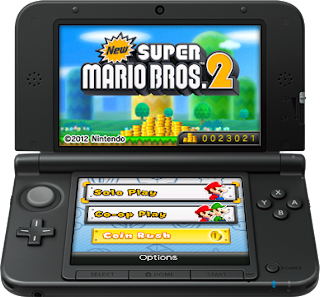 Despite the Nintendo 3DS tracking ahead of the Nintendo DS at a similar point in its lifetime, Satoru Iwata, president of Nintendo, stated that the 3DS's performance/momentum was "weak" in the United States and Europe. Nintendo of America president Reggie Fils-Amie concurred with Mr. Iwata's thoughts. So if the performance of the system is not up to snuff for Nintendo, how could it be improved? I have brainstormed and thought up solutions (none of them being the be-all, end-all) to help the 3DS gain that much needed momentum in the West that it currently does not possess. You may not agree with [m]any of the reasons I list, but I hope this generates some intelligent discussion regardless. I didn't like the "HD tax" when Microsoft and third-parties set the precedent of making most new games cost sixty dollars with the Xbox 360. I especially don't like how Nintendo and third-parties have opted to charge forty bucks for most 3DS games. The price is just too much. We saw this price the last handheld generation on the O.G. DS with Square Enix charging $40 for most of their software. Now it's the usual price for 3DS games. I feel the price is too much in this economy for most 3DS owners. It means they can't purchase as many games as they did with the DS. And let's face it -- some games do not deserve to be $40. 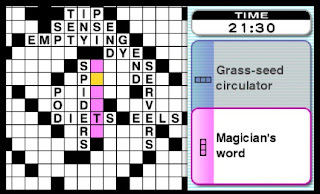 In fact, a recent release this week for the 3DS is a title called Crosswords Plus. 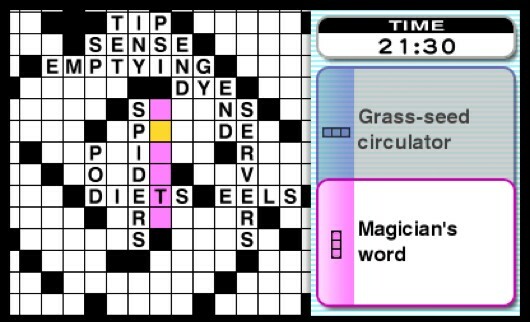 A game like this does feature loads of crosswords, word searches, and anagram puzzles, but it's not particularly meaty enough to warrant a full price. Thus, it received a budget price. However, Nintendo's idea of a budget price this handheld generation is $30. ...Seriously?! That is completely outrageous to me. When you can get similar games for much less, who is this game even marketed towards? such a game is not worth thirty dollars to many. Outside of retail, let's focus on digital for a moment. I know people get annoyed when Apple and the app store is brought up and compared to dedicated gaming platforms, but games on the iOS marketplace are much more inexpensive than on the Nintendo eShop. It makes sense that some people are hesitant to pick up a $7.00 game on the eShop when they can pick up a similar title on the app store for significantly less. The quality might be similar, it might be different. That's not the point. The point is that to the unbeknownst consumer, they're seeing that eShop games -- regardless of them being better or not or worth the price or not -- are more expensive than app store titles, so they get hesitant and question why they should buy them. One of the main problems I personally have with the Nintendo 3DS is the release schedule. Is there a reason why the West has to wait so long for games that released a year ago in Japan? The wait time for localization is just ridiculous. And that's even if the games get released. As of now, we're still waiting on localization announcements for Bravely Default: Flying Fairy, Project X Zone, and the one that I understand why it hasn't been announced for localization, Monster Hunter 4. The release schedule problem becomes exacerbated when you look at the holiday season. Honestly, to many people, only Paper Mario: Sticker Star is seen as the big title for the 3DS. Otherwise you have games like Epic Mickey: The Power of Illusion, Professor Layton and the Miracle Mask, Art Academy: Lessons for Everyone, Harvest Moon 3D: A New Beginning, a new Brain Age, and other titles that will most likely not be huge sellers, as they are either "casual" titles (and most casual players have moved to smartphones and tablets) or niche games. Regardless, does Nintendo actually think that games like Brain Age: Concentration Training, a costly crosswords game, and Art Academy: Lessons for Everyone are going to appeal to an audience that moved on to smartphones and tablets for cheaper alternatives a long time ago? big game this holiday season. I think Nintendo needs to push themselves and third-parties to do a better job of presenting a better turnaround between Japanese releases and releases to our side of the world. Games need to be localized in a timelier fashion. "Well, SuperPhillip, you're an idiot who doesn't understand how many man hours it takes to localize a game." Perhaps, but waiting nearly two years for the fifth installment of the Professor Layton series? Really, now. It takes that long? To be fair, 2013 is becoming packed with software like Castlevania, Animal Crossing, and Fire Emblem, but if Nintendo wants any kind of momentum, they will start devising a plan to release a steady stream of quality games and ones with selling power. Looking at this holiday season, Nintendo does not have that whatsoever. to revisit the world of Animal Crossing. While I do not agree with some people's assessments that the Nintendo eShop is a failure, I do agree that it could be much better. For starters, the layout of two horizontal lines showing only a fraction of what the shop has to offer is not only bare bones, but it is difficult and confusing to navigate. It makes certain games hard to find. It's simple to type in the name of a game to find it, but what happens if you don't know the name or don't know what you want? Good luck finding something of quality through the convoluted mess of menus. I know Nintendo is trying with their online shops, but anything has to better than what they currently have on the 3DS. They could streamline the experience much more, making browsing easier on the user. They could put games in alphabetical order according to type of game -- be it 3DSWare, applications, DSiWare, and Virtual Console titles. Currently the 3DS eShop is not up to snuff. Then there's the software itself. I would love to see more Virtual Console releases than what we are getting. I understand the logic in drip-feeding titles as to not overshadow everything else on the eShop. I don't understand the logic of weeks of no new games. Nintendo has enough software from their catalogs to put on the eShop. Japan is being treated like kings. Why does the rest of the world have to suffer through so many droughts? Hopefully we will see Game Boy Advance games included soon for everyone to purchase. 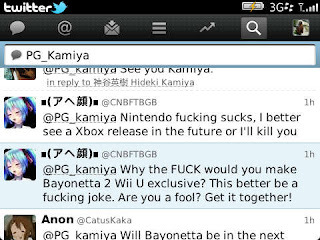 - Make It Clear That the 3DS is a New System. From what I can see, Nintendo has been doing poorly at doing this in North America. I see displays that have 3DS games and DS games strewn about together. It doesn't help that the box arts are somewhat similar and the logo of both platforms are also alike. 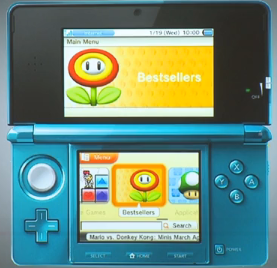 It also doesn't help that the 3DS system looks just like the DS but with an analog stick. Nintendo really needs to get this into some people's skulls that the Nintendo 3DS is the successor to the DS and not another revision. They need to inform people why they need to upgrade to the 3DS. This is a reason I fear for the success of the Wii U. Yes, Nintendo has taken some precautionary measures as to not make the same level of brand confusion with the Wii/Wii U as they did with the DS/3DS (e.g. box art styles that are clearly different from the Wii's, the inability to buy the Wii U GamePad by itself at launch, etc. ), but will they properly convey that the Wii U is not just a new tablet to go along with many consumers' Wiis? So there are four things Nintendo can do to improve the 3DS's fortunes. Easier said than done, of course. The Nintendo 3DS is my most played platform this year, and I really want it to gain that momentum to ensure that dedicated gaming handhelds will survive. I'm of the mindset that there is still a market for such a device. We will probably never see the 3DS reach its predecessor's sales levels, but we can hope that it can come close. Do you agree/disagree with my ways that the 3DS can reach its potential? Do you have any of your own ideas that I neglected to mention? Discuss this article within the comments section. Last week we started this new experiment with my favorite VGMs where one game was highlighted for the entire edition. We continue this with Kid Icarus: Uprising, which has one astonishing symphonic soundtrack. Experience it for yourself with this look and listen at five sensational songs from the game (I just warn you of possible spoilers), a title that may win a few awards come the SPC Best of 2012 festivities at the end of the year. If there is one newcomer from a recent Nintendo game that I would like to see in the next Super Smash Bros. game, it would happen to be the gruff and tough Magnus, making his debut in Uprising. He appears in a handful of chapters, and leaves an impression in each of them. He also has one heck of a song to represent him. Perhaps the most stirring part of the theme happens from 0:55 and concludes at 1:24, especially when the choir kicks in. Kid Icarus: Uprising has two parts to each chapter. One part is flying combat on rails a la Star Fox 64. The second is free-roaming ground combat. As for this theme, it plays during the flying portion of Chapter Four: The Reaper's Line of Sight, a chapter that sends our hero Pit deep into the fortress of the Reapers. Along the way he has to deal with strong headwinds, hazardous traps, an Eggplant Wizard, and yes, numerous Reapers. This song is quintessential Motoi Sakuraba, particularly this part. Another song from the magnificent mind of Motoi Sakuraba, Lightning Battle puts Pit in the middle of a war between Underworld forces, the Forces of Nature, and a third party for an electrifying result. The action-packed first part is accentuated by this tremendous track. Soaring through a shocking sky with enemies from all sides getting in your way make for an intense chapter. The song's main melody kicks in here, and it absolutely rocks. The composer of this theme, Yuzo Koshiro, contributed music for classic games like ActRaiser and Streets of Rage. 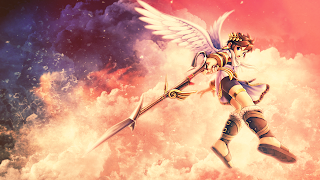 His work on the Kid Icarus: Uprising is awesome quite memorable. For instance, one of his works was already featured, Magnus's Theme. Here is another -- Aurum Island, a jazzy, brassy piece perfect for exploring the mysterious invaders that have attacked the planet. Don't they know Pit is dealing with the Underworld at the moment? 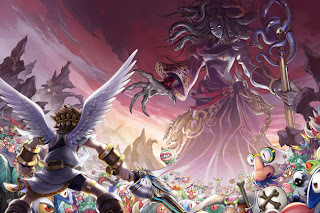 Possessing a theme familiar to anyone who played Chapter Nine, as well as throwing in motifs of a certain antagonist's theme, Lord of the Underworld is a chapter near the end of Uprising. I shall not dare to reveal what happens in this chapter, but it is quite surprising. Even when the game gets intense, it never shies away from throwing in some humor to lighten the mood. It's a reason I really feel Kid Icarus: Uprising has loads of charm. It doesn't try to take itself too seriously, which in a generation where it seems developers are trying to make game stories serious business (and having laughable stories in the process, unintentionally, of course), it is nice to see something different for a change. 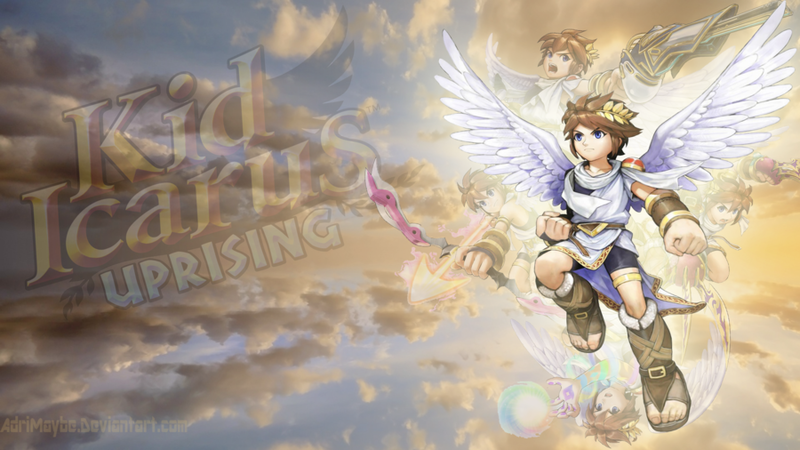 Kid Icarus: Uprising without a doubt has my favorite soundtrack of the year. I encourage you to look into more songs -- just be wary of spoilers in the song titles. Next week we'll have a new game highlighted to pick and choose five songs to showcase the soundtrack. What ever will it be? Only way to know is to stick with SuperPhillip Central. Until next time, check out my VGMs database for past selected songs. It's been a while since we've taken a look at The Buzz, the most popular posts currently on SuperPhillip Central. Some ask why I do this. Well, I generally like to make notes on what visitors are looking at the most and keep records of this. I find it fun and informative to look at these occasional records for my own interest.. The king was dead, but now long live the king. Rank Up! - God of War is back on top as the most viewed story today. But it's not the only Rank Up! segment up on The Buzz. In fact, there's tons of them. They are infesting The Buzz like locusts! There's Mega Man, Indiana Jones, Nintendo consoles, and 3D Super Mario installments of Rank Up! Then we have both current parts of The 50 Best Nintendo Wii Games that are recently gaining lots of popularity. Finally, two editions of SuperPhillip's Favorite VGMs and a mainstay of The Buzz, Top Five Spider-Man Games reign supreme on our list of popular posts.